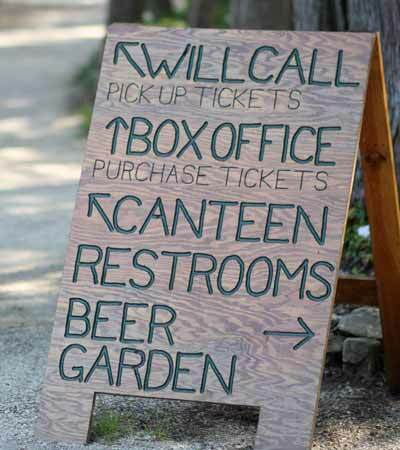 There is literally something for everyone in Door County Wisconsin! The ideas and links below will guide you in exploring your options and planning your trip. 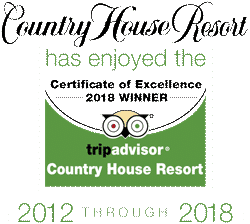 Be sure to also check the Door County visitor bureau and Come To Sister Bay websites which offers more in-depth and constantly updated information on things to do in Door County Wisconsin. Still like a printed brochure? The resort lobby has a large selection of brochures, menus, maps and guide books to pick up and enjoy or to have something to take along on your day's excursion. Insider Tip! Our staff is always happy to assist you, share their favorite spots and maybe even reveal a local treasure. Stop by our front desk for a chat. From Cherry Fest through the fall Pumpkin Patch be sure to check out the events happening throughout Door County during your visit. Door County is a paradise for "Foodies", from outstanding restaurants, to cooking schools and locally made products. 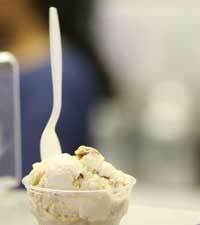 Coffee shops to fine dining, pancakes to continental cuisine, Door County’s eateries offer something for every taste. Local Wineries & Breweries, offer the opportunity to tour and taste. Door County is home to multiple wineries & breweries, a cider house, and a distillery featuring Death’s Door Vodka and Gin made from grain and wild berries harvested on Washington Island. 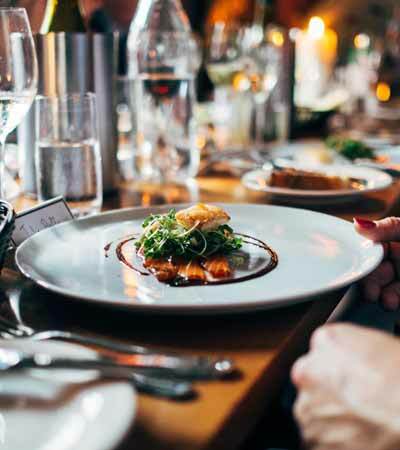 Use one of the following links to search by location and/or type of food or drink - Door County Dining or Sister Bay Dining Guides. Or, stop by the front desk; our staff will be glad to offer suggestions and share their favorite spots. Peninsula Players, America’s oldest professional resident summer theatre offers live performances in a unique and picturesque setting. Northern Sky Theatre (formerly American Folklore Theatre) showcases original musical theatre under the stars in Peninsula State Park (dog friendly) during the summer and moves to the Ephraim town hall for its fall season. Nearly a dozen performing arts organizations call Door County home and fill venues all over the county. Culture, History & Museums Throughout the Peninsula you will find a rich heritage of European settlers and mariners. 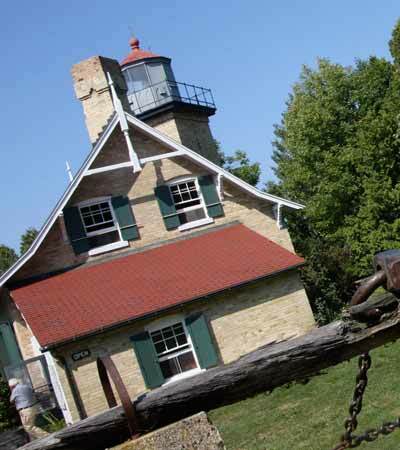 Fisherman, ship builders and lighthouse tenders have all called Door County home. Lighthouses Three hundred miles of shoreline required nine lighthouses to guide the ships that sailed the waters of Green Bay and Lake Michigan. Some may be toured, while others may only be viewed from the water. Insider Tip! Sunrise & Sunset Schedule Enjoy a spectacular sunset from the resort’s shoreline dock or the marina in Sister Bay. Check the schedule for approximate times during your visit. Parks Door County is home to five state and 18 county parks with miles of trails, picnic areas, beaches and spectacular scenery. Biking For the avid cyclists who bring their own bikes, Door County had more than 100 miles of scenic back road trails. 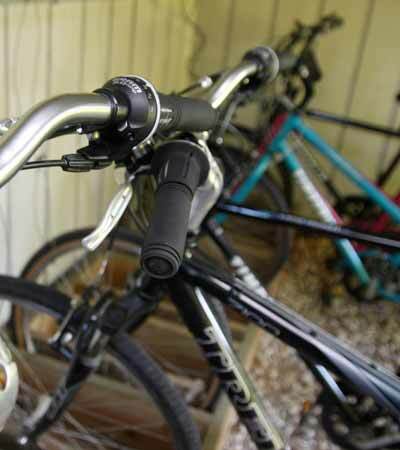 Bike rentals are available in Fish Creek, near the off road trails that wind through Peninsula State Park. Canoe, Kayak, Paddle Board Paddle on your own or with an experienced guide. Enjoy a tour on the water. From the silent glide of a kayak to the thrill of a jet ski, Door County offers a wide variety of hourly to daily rentals. Fishing Whether you want to wet your own line or hire a charter fishing boat to troll for salmon, on a peninsula surrounded by water, you won’t have far to go. Hiking From a leisurely stroll along a self-guided nature trail to a more demanding hike, Door County’s natural beauty is best enjoyed close up and on foot. Five state parks and numerous smaller county parks offer an option for everyone. Shopping is a favorite pass time in Door County. Door County is well known for its fine arts and crafts from local artisans and galleries. More mainstream choices include unique clothing at local retailers (or Sister Bay Retailers), treats made from Door County cherries, hand scooped ice cream and so much more! Farm Markets are also a great option for those looking for a combination of shopping and easy-going activity. Put the “R” in relaxation and enjoy a little pampering at one of the local day spas! Insider Tip! You can enjoy our oversized outdoor whirlpool or an in-room jacuzzi in one of our suites or Specialty Rooms.